2018 dates: 17 Jan, 21 Feb, 4 Apr, 16 May, 27 Jun, 8 Aug, 19 Sep, 31 Oct, 12 Dec. So you've made it through six whole weeks of lindy hop classes. Or six years. Or sixty years. 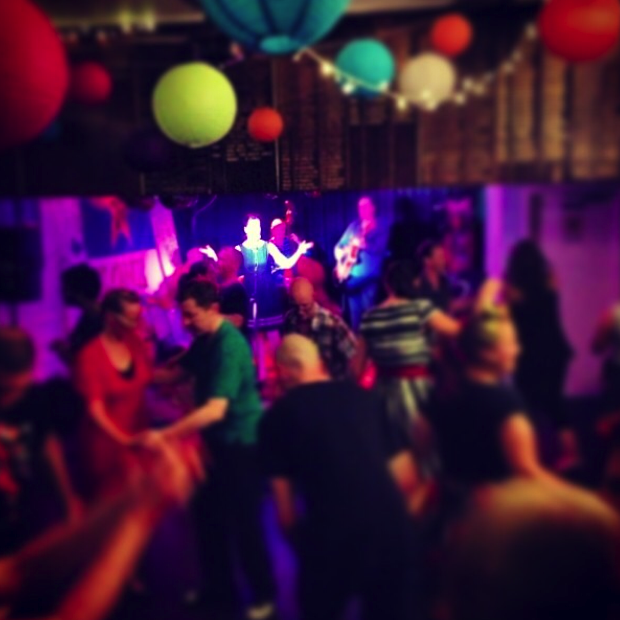 Time to celebrate your love of lindy hop with a few bevvies and a little manic screaming. We have a bit of low-key, low-stress social dancing on the last Wednesday night of each 6 week beginner block. Ask your class mates for a dance, ask a random for a dance, prop up the bar, actually get a chance to talk to the other follows/leads. In other words, check out social swing dancing amongst friends. Bring a few cookies or some sort of snack to share (the bistro is still closed), sample a few local craft beers from the PBC's ever expanding barrels. 7.30pm DJed music with International DJ Sam Carroll and friends. Cost: FREE (class is $17). Classes in jazz and swing era dances. Historic solo jazz, lindy hop, charleston, tap. We will get you up and dancing, meeting people, and having fun!